Detailing the physical features, habits, territorial reach and other identifying qualities of the Red Folding Door Trapdoor Spider. Folding Door Trapdoor Spiders usually stay in their underground burrows until rains or the mating season force them outside. Folding Trapdoor spiders are related to members of the Trapdoor Spider family. They are also related to Tarantulas which may explain similarities in form. This genus of spider lives in tubular burrows just under the ground's surface. A Folding Trapdoor spider can unfold the hatch on its underground lair instead of just popping up one large door. The large spines on the chelicera (mouthparts) of the spider aid in digging out loose soil. 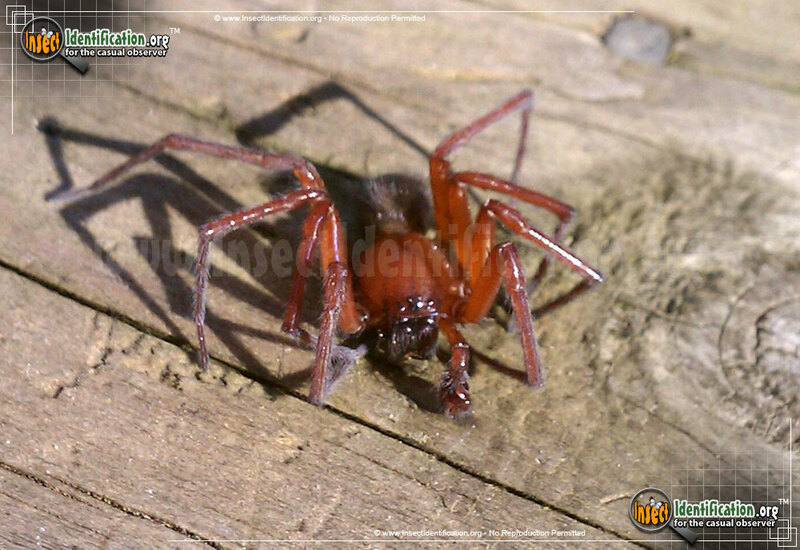 They are active hunters and do not spin webs for catching prey. Insects and millipedes make up their diet. When threatened, they assume a defensive posture that includes tucking in their legs. They are not aggressive despite their appearance. Like most spiders, they do bite when handled carelessly. Like tarantulas, there is a commercial market that sells Folding Trapdoor Spiders. Many species in this genus are brown or dark brown. The black, native Pacific Folding Door Trapdoor Spider is commonly sold in the Pacific Northwest as a pet. 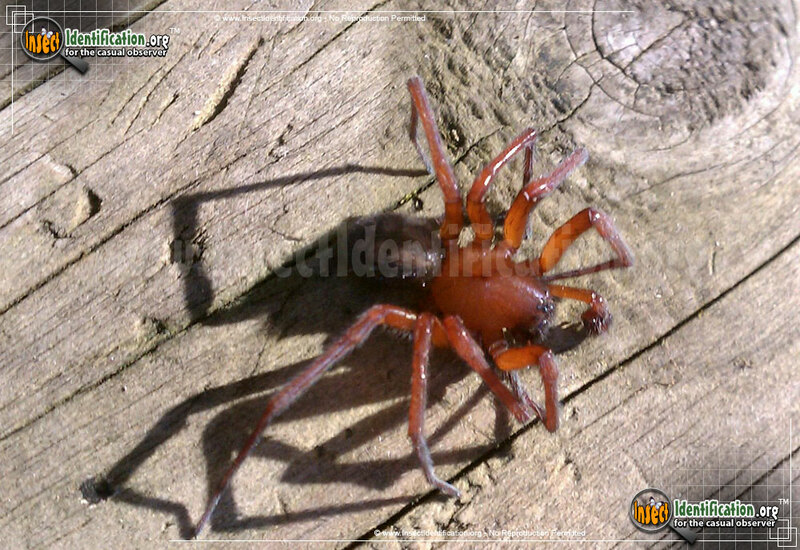 A non-native, fiery Red Folding Trapdoor Spider may be African in origin having been brought to the continent to capitalize on the pet market. 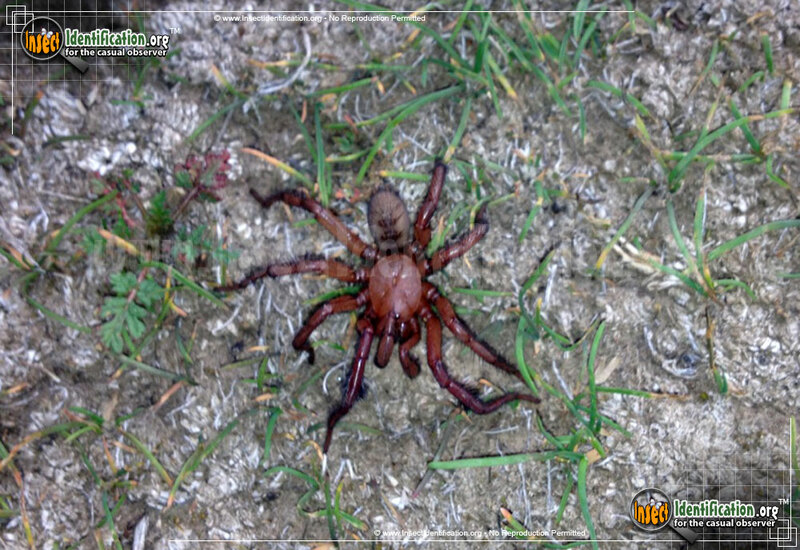 The African spider is known to be more aggressive than the native Pacific Northwest species, and sightings of the red spider in the wild may be a result of former pet owners illegally releasing them in the wild.